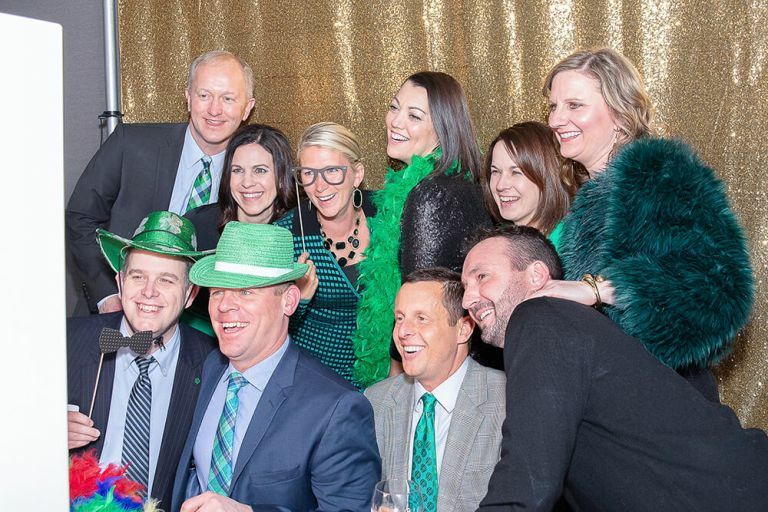 Our Simple Photo Booth was a hit at The Ron Pearson Center for the Catholic Charities St. Patrick’s Gala. Our simple booth is our most popular booth for it’s quality vs value ratio. The Gala also had our roaming social photographer taking photos of guests roaming around the event allowing them to share their photos instantly from anywhere in the building. Our Simple booth was a huge hit for Mavykai’s 1st Birthday party at the Ding Darling Shelter Park in Des Moines, IA. How our simple booth works, is we show up 30mins before scheduled booth start time, setup and show you quickly how to start a session and where to pick up the prints. It’s really that simple. We then arrive back at scheduled pick up time. By dropping our booths off without an attendant, we pass those savings to you. We use one time use paper props on sticks, so prop theft isn’t a concern, and you are more than welcome to provide your own props. 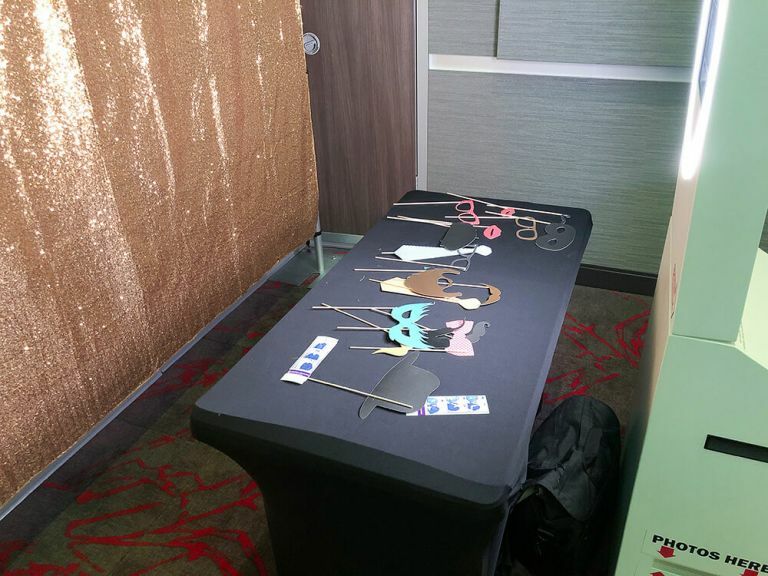 This is how we are able to provide a quality fun photo booth for $295 for 2 hours, and only $50/hr after that. It’s a great deal!!! We are always so honored to be able to provide our photo booths & social photographer services to the Iowa C.O.P.S. Black & Blue Ball held at the Marriott Downtown Des Moines, IA. With a crowd of 1600+ people, we staff 2 booths and a roaming social photographer to capture memories and provided instant digital sharing of images to the guests who are dressed in their finest to honor those who have fallen in the line of duty. If you attended this event, you can download your digital images here. The Urbandale Hy-Vee had us setup our Premium Photo Booth for their Christmas party at the Paul Knapp Leaning Center @ the Iowa State Fair Grounds. They choose our Red Sequin backdrop. Their guests had a ton of Fun! 80 is such a milestone, and it deserves to be celebrated in style! We dropped off our Simple booth at the Adventureland inn in Altoona Iowa. They even provided an awesome backdrop! Our Simple Booth was a hit for the Indo American Association of Iowa’s India Day Celebration at Living History Farms this past Saturday. We setup the booth at 9am, and came back to pick it up at 6pm. Volunteers with the IAAI association ran the booth and helped their guests. We received many compliments and were told how much fun guests had. Samantha loved having our Simple Booth at her Graduation party this weekend. Thanks to the simple booth’s small space requirements, we setup in the living room and it was a hit! This was the first time rolling out the new Digital Prop Signs, and guests loved them! We setup our Simple Booth in the rain for the JDRF’s Annual walk to beat Type 1 diabetes. Even with the rain, the event was a hit! 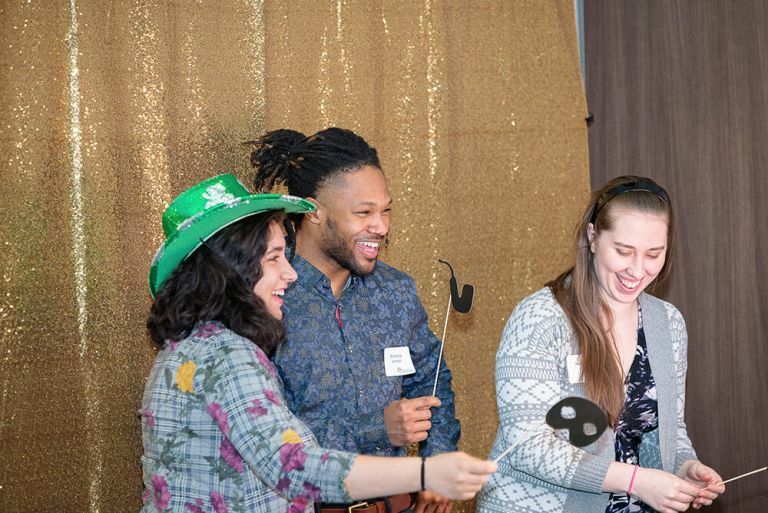 The Iowa State Veterinary of Medicine Graduation choose our fun Simple Photo booth for their event. The had a blast creating memories to share with their classmates. They chose our Premium Red Sequin backdrop, and it looked stunning! We had 2 Simple Booths at the Des Moines Iowa ON TAP Craft Beer Festival. Lots of fun had by many! They choose not to have a backdrop, but instead just let the booth capture the activity in the background. 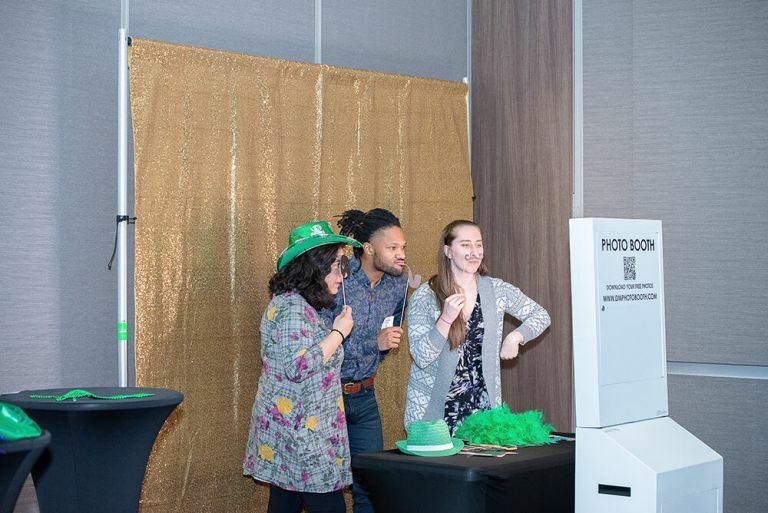 Our Simple Photo Booth was a hit at the Valley High School Dance Marathon this weekend! This booth allows us the flexibility of working with non profits and events where volunteers can help run the booth to help get the cost of the booth down. We can provide this booth for $295 for 2 hours of operation, than just $50 each additional hour! Contact us today, as this booth is a great addition for birthday’s, dances, school functions, proms, you name it! The Urbandale Hy-Vee had us serve their employees at the fabulous Noah’s Event Center. In celebration of the 2018 winter olympics, and the Blue Ribbon Bacon Fest Festival. Barefoot Bar had us at their booth with our premium booth and green-screen backdrop. Guests got to hold snowboards & ski’s and received a very cool 4×6 print with them inside a snow globe. 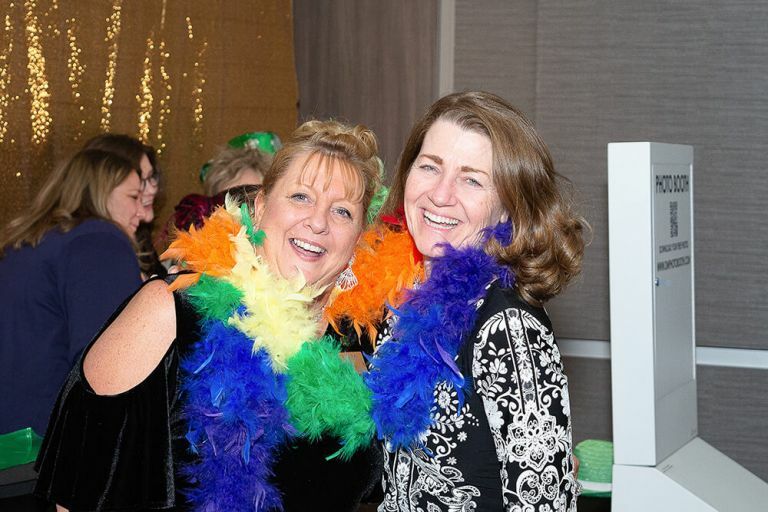 A fun twist to the traditional photo booth! Guests were also able to social share their digital photos instantly! We created our Simple Booth for Non Profits, Birthday Parties, Weddings or Trade shows needing multiple booths spread throughout the event. Brand-able on front & back, this booth is designed to be dropped off an ran by your staff or volunteers. Starting at $295 for 2 hours of use! We setup our Premium Booth with a beautiful Rose Gold Sequin Backdrop. Whitney & Max brought in the new year with a new celebration @ Prairie Meadows Casino & Hotel in Altoona Iowa. We setup our premium booth with a gold sequin backdrop and lots of fun props! We have lots of fun templates to choose from! Simply pick your favorite template, than fill out the form. We’ll customize and provide you with a mockup for approval. It’s that easy! We were invited to an evening of Thanks for the Iowa Select team @ the Downtown Des Moines Iowa Marriott. They choose our Premium booth with a gold sequin backdrop. Let’s just say it was a hit! Guests LOVED seeing themselves in-front of the digital background (Green Screen Technology) and fun interactive prints on the spot! The Confluence Brewing Company had us out to their annual Halloween Party. What a blast! We loved all the fun costumes. A super fun 30th birthday party for Katie @ The Exchange in Downtown Des Moines, IA. Client choose our Satin Rosette – Fuschia backdrop which looked fantastic! We had so much fun helping Seth & Bridget celebrate their marriage at the Summerset Winery in Indianola Iowa. The Iowa Motor Truck Association hired us for their 75th Anniversary which was held at the Iowa Events Center in Down Town Des Moines Iowa. We printed up a great looking Step & Repeat for them, and their guests had a blast in the booth. We’ve been on a kick lately with step & repeat backdrops. We can custom print these 8’x8′ backdrops on a heavy vinyl just for your event. We’ll even leave the backdrop for you to use during other events. It’s not a one time use backdrop. Our event was held at the Des Moines Social Club in Des Moines Iowa.